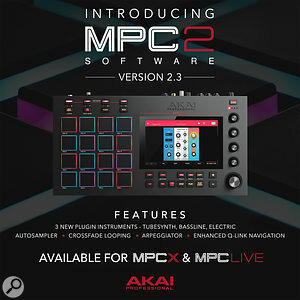 Akai really upped their MPC game with the MPC X and MPC Live, moving back to the standalone paradigm that originally made the series so popular. 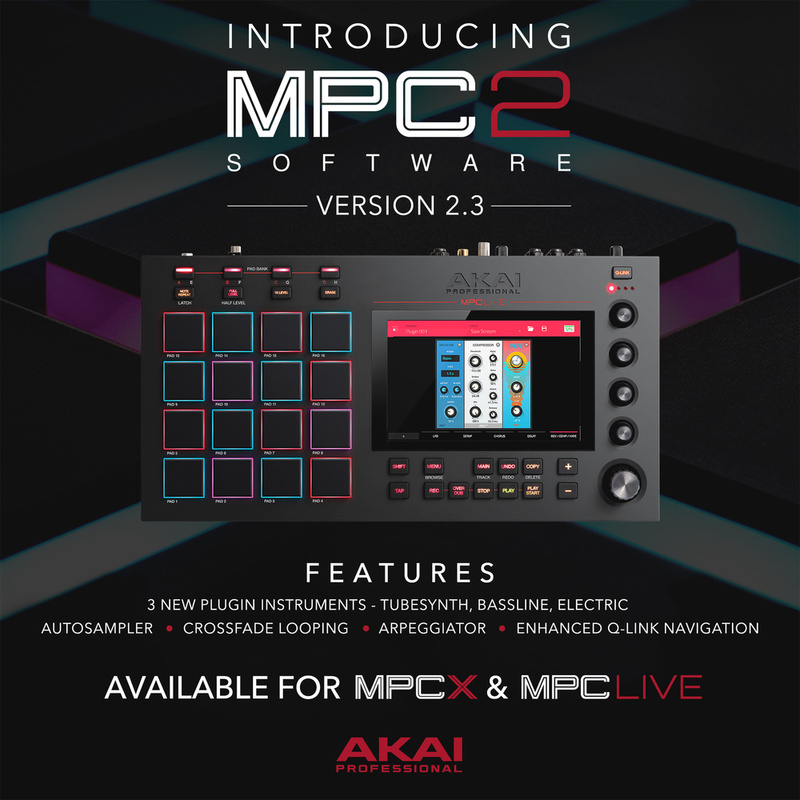 Now, with the MPC 2.3 update, Akai are giving the owners of these hardware devices and MPC Software 2 users three brand new synths to play with as well as user-requested features such as an arpeggiator, an autosampler and real-time crossfade looping for sample playback. The Autosampler is really serious news for taking your studio sound to the stage. It allows you to capture and convert any plug-in preset or external instrument preset into a key group sampler patch — great for synths and drum machines. All three new virtual instruments are designed by sister brand AIR Music Technology and offer a decent number of presets to get started with. Perhaps the most noteworthy is TubeSynth which styles itself on classic, vintage analogue polysynths. Based on the same analogue modelling technology found in AIR’s acclaimed plugin synth Vacuum Pro, TubeSynth features a three-oscillator architecture with noise, saw, square, pulse and triangle waveforms, plus two unison engines for thickening sounds. You can also explore wider timbral territory with the oscillator’s Ring Mod parameter. Add to that AIR Chorus, Delay, Reverb, Compressor and Hype EQ and it’s a pretty serious addition to the MPC platform. 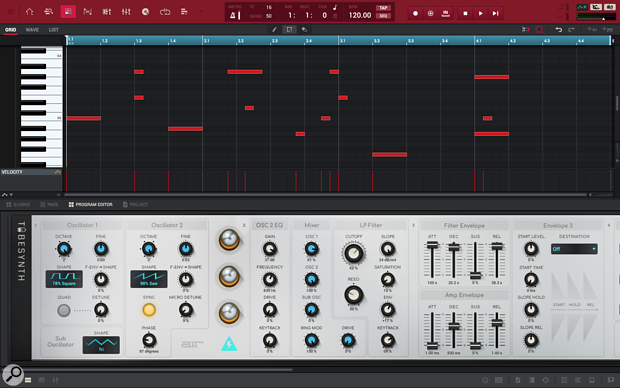 TubeSynth, made by AIR Music Technology, is based on the acclaimed Vacuum Pro plug-in. The second instrument, Bassline, emulates the sound of classic monosynths but adds a contemporary twist, with four integrated AIR effects as well as two built-in distortion algorithms. The third instrument is Electric, which brings the sound of classic electric pianos to the MPC X, MPC Live and MPC Software 2.